Our city portrait will lead you to the “Golden City” of Prague. Regarded as one of Europe’s oldest cities, Prague has plenty of spectacular sights and a rich cultural heritage to offer. 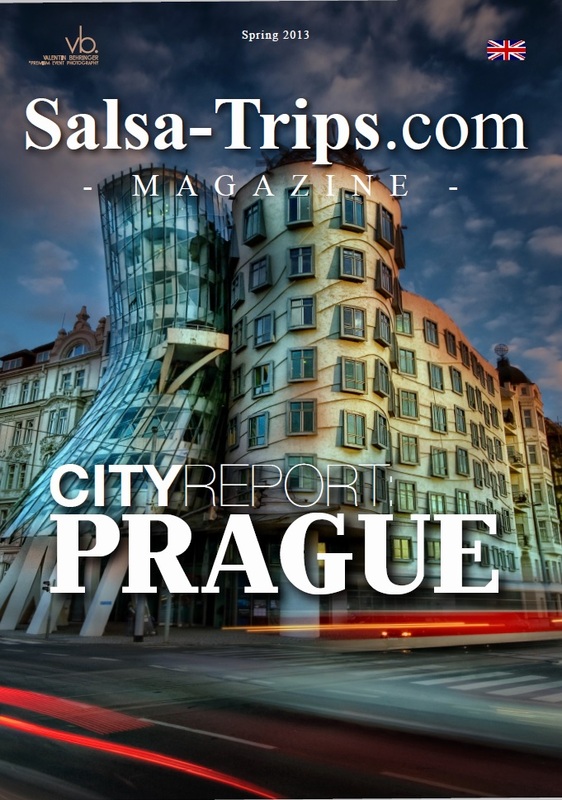 With an established Salsa Community, Prague is also an attractive salsa destination. Just book your flight with www.Salsa-Trips.com and discover one of Europe’s most attractive destinations! In our salsa artist section, you can find exclusive information and news from the Salsa scene, such as detailed articles about Anne & Anichi and Pablo & Luisa, who – of course – will be present at the Frankfurt Salsa Festival 2013 to perform in a show all together. Moreover, you can find an exclusive interview with DJ Mauri from Amsterdam. In addition to current band and music reviews by DJ Mambito und DJ El Chino, our Event Manager gives you information about all important Salsa events that will take place in the next six months in Europe and worldwide. Please take a look at Salsa-Trips.com/tickets for special promo discounts and combo passes or request our help in bookings of flights and hotels.